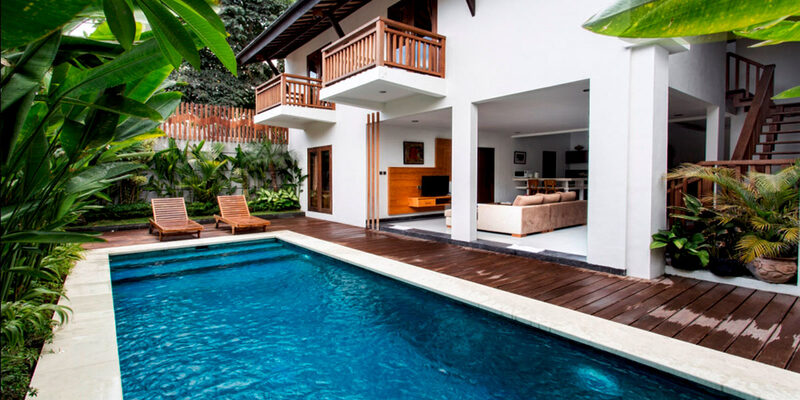 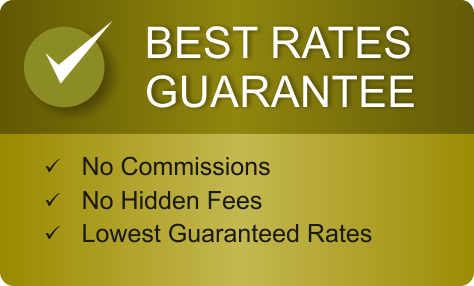 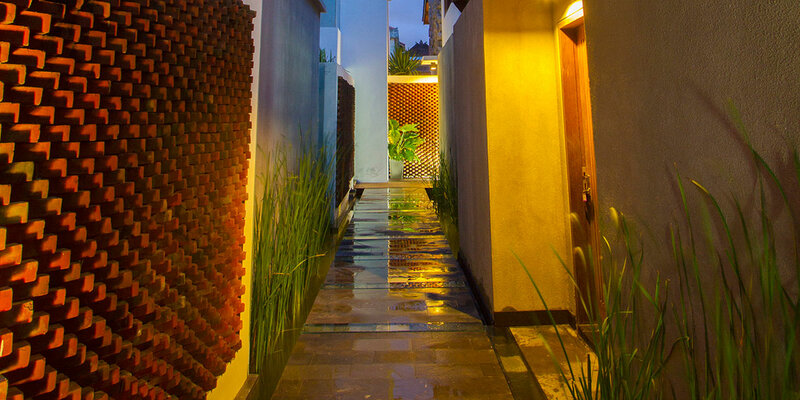 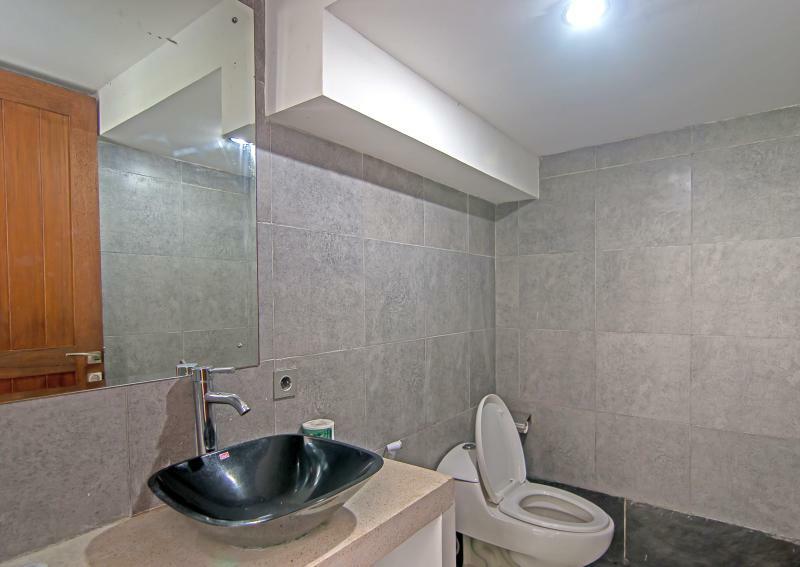 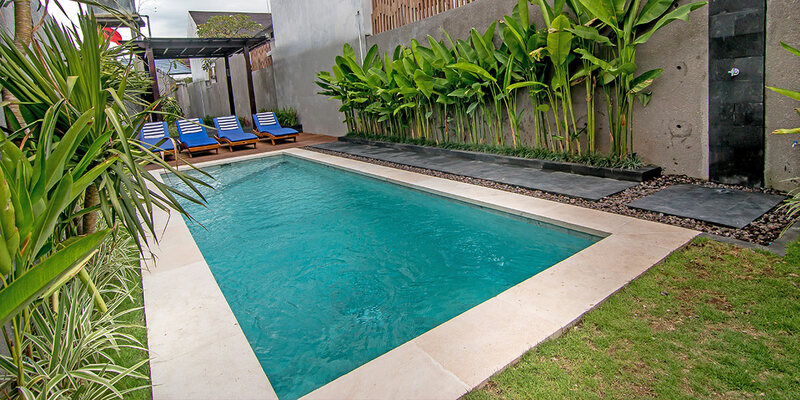 These villas feature two Floors, each with private bathroom. 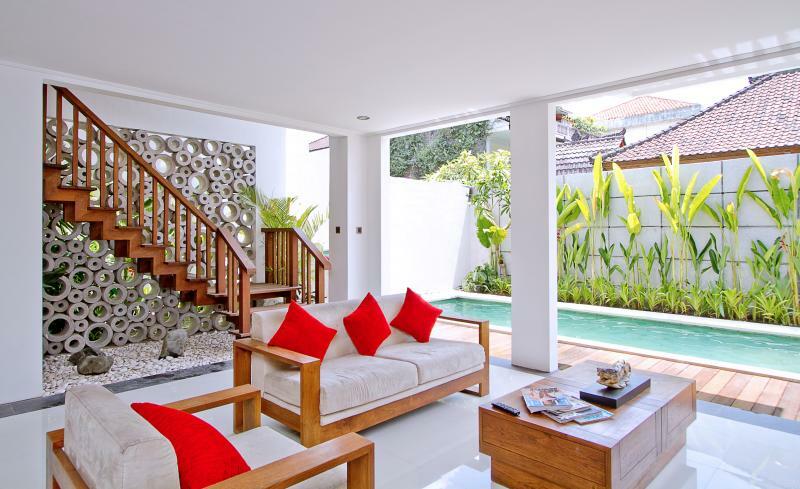 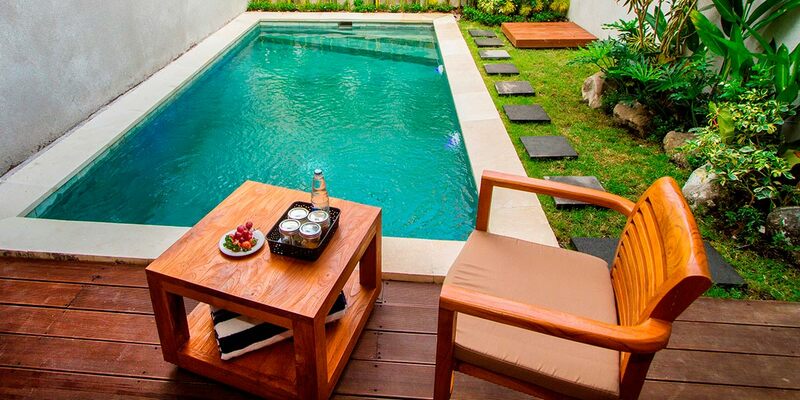 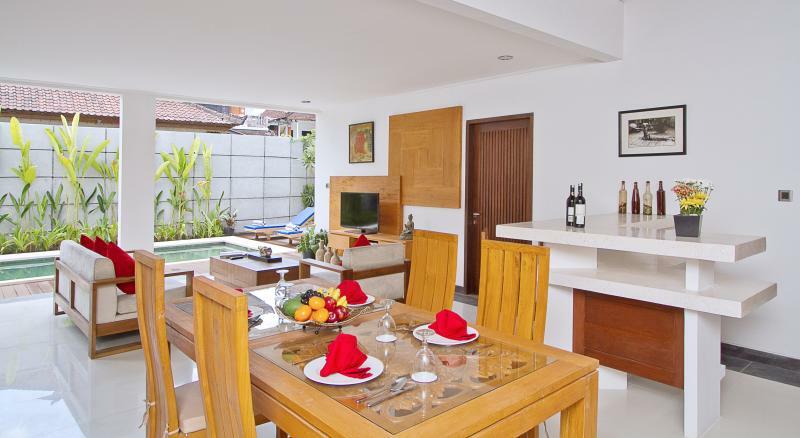 Three bedrooms pool villa is located at backyard of the complex, accessed by floating pathway above the fish pond. 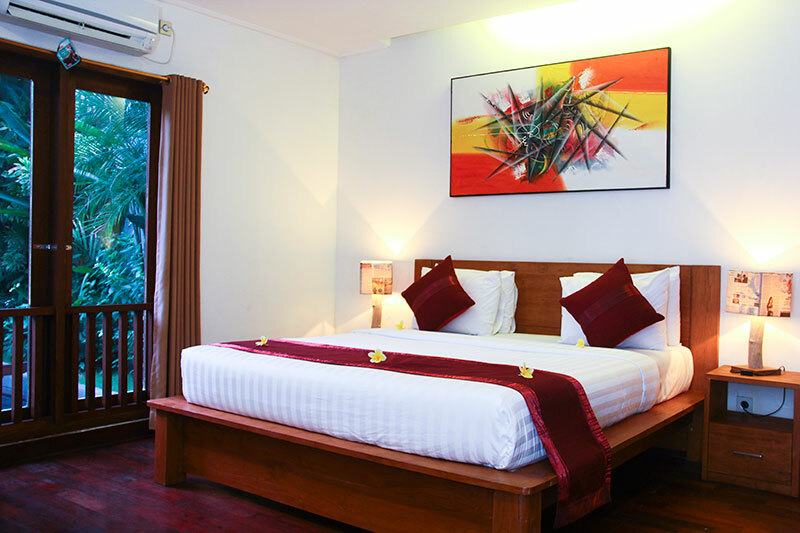 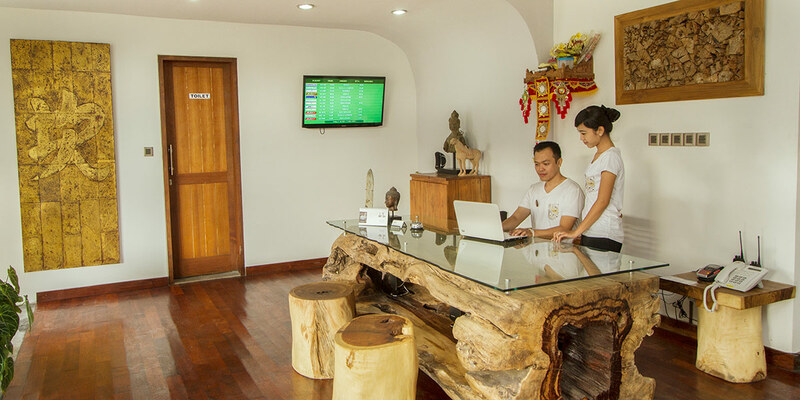 Ideally for family getaway or small group of friends, Master room is located on the first floor. 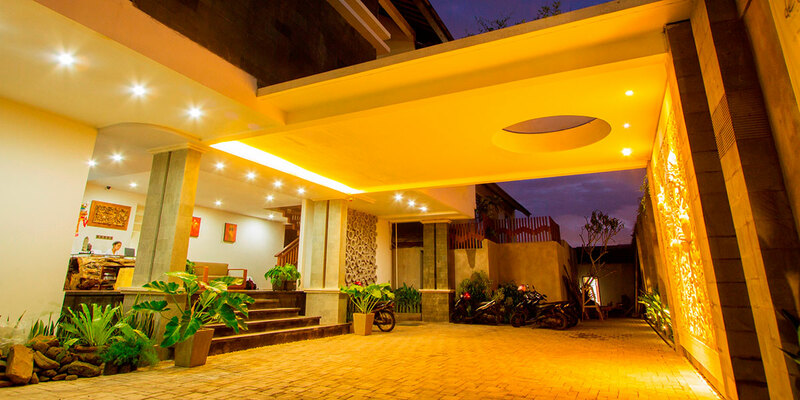 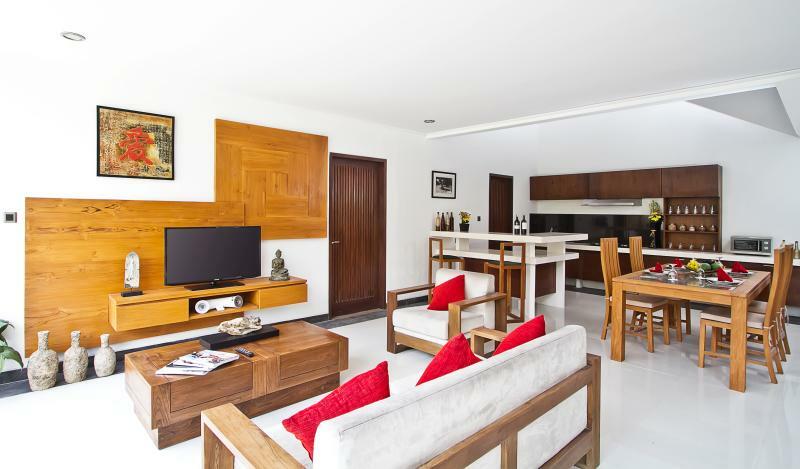 Each room has a king size bed & large private swimming pool and living Room area and set up kitchenette with unique finishing material, give guest privacy and yet spacious living experience.